Free Pay monthly SiM on t mobile!! Do u have the link for that?? Plusnet £1 a month deal still going too! I spoke to T-Mobile customer service the other day and they did sort of hint out T-Mobile will be closing in the next 12-24 months. Might as well keep the account going until they ask us to move. I wonder how many customers are on Tmobile still? I think this is the beginning of the end as they will try migrating customers over to EE, no doubt at a higher price. I have three Sims still on this deal. And all three are still suitable for the way we use them. I am on £10.21 Sim-Only T-Mobile plan. I rang T mobile renewal department today as i was out of contract and was waiting for the right offer, they gave me £5.00 off from my bill for next 12 months plus 60mins free 08 numbers as a good will gesture. I already have 300 min, 300 text, 500mb internet and 60 international minutes, In May, T mobile will add another 30 international minutes as a reward which is previously going on my account. I was told that the system only allows them to take £5.00 off not £6.00, I am very happy with this deal. 300 mins 300 texts 500mb internet 60mins international calls +30 mins free = 90 mins 60 mins for 08 numbers £5.50 WOO HOO! I have one of these and it drives me mad, the touch sensitive buttons have a mind of their own!!! I paid £30 for this one last year my advice stay clear. The touch sensitive buttons are a mare bad enough when im sober but when ive drank 2 shandy's texting is impossible. I'm looking for T. Mobile SIM cards please can you advice. I received mine in the post today, i have made a call and sent a text without needing to top up. please mention full price, not monthly price, in the price section! Probably because they want you to pay for that privilege, i.e. upgrade and signing of a new contract. 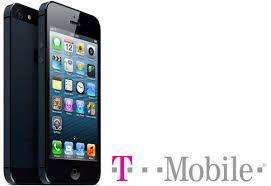 Contract details: Free phone 50 minutes per month Unlimited Texts 250mb data £10.50 per month for 24 months. Not a bad deal if you don't make many calls! Comparing the S3 mini and the S3 is like comparing mangos to mangosteen. They have nothing to do with each other despite their names, but they still seem to be able to fool people like you. Insurance is not compulsory and you cannot get the full size s3 for this price. Just called an EE store - deal is expired. "Goes back to pay per day after 365 days." This quote is from the t-mobile website. What does this mean and is it only applicable if you log onto the net, or will they just charge you per day for owning the dongle? and if there is no contarct how do they get their money? Do you have to cancel your one year pre-pay once it is up? do you need to open up an account with marshall ward? 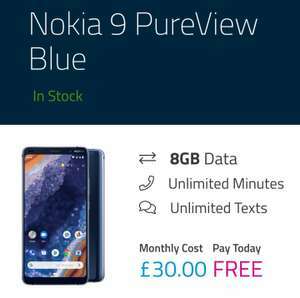 This is a good deal for 2 gig, but as posted above its hard to use that unless your trying to download and i cant see the point of downloading at speeds u will usually get. But i use my orange mobile bb every day for 3/4 hours just for surfing/ ebay/ hotukdeals/ emails/msn/ect and use about 250 meg a month maximum. Im on the orange 500 meg 18month deal cost me £5 a month but at the time got £60 quidco, so im paying £1.67 a month for my mobile BB. Orange still do the £5 a month deal you have to be a orange customer, but pay as you go mobile also count as customers just enter a payg mobile and you can get the deal,Quidco paying £40 at the moment so you can get orange BB for £2.77 a month for 18 months. cheers mate. My W810i is on T-mobile. Which FS should I use W810_R4ED001_FS_T_MOB_INT_A_RED50 or W810_R4ED001_FS_EUROPE_2_RED50 ?